Anyone who is familiar with the E-rate program has hopefully stayed on top of the modernization efforts and countless opinions, informational Webinars, and meetings with E-rate consultants concerning the changes. E-rate works in the past, present, and future, and we tend to think more about these kinds of programs as we prepare for funding the next year’s requests. Even though I personally have stayed abreast of these changes, the reality of the phaseout and elimination of services gives me mixed emotions about some of the modernization efforts. The E-rate program has been around for the last 17 years. During this time period the program has remained relatively unchanged. However, with any program, change must be a part of the road map to ensure that you keep up with the ever-changing landscape to remain relevant. The overall goals of modernization make sense, but these improvements often come at the expense of existing program areas that school districts have come to rely upon. A few of the affected areas for phasing down and elimination for 2015 include support for voice services, certain phone features, email, Web hosting, voicemail, and data plans. 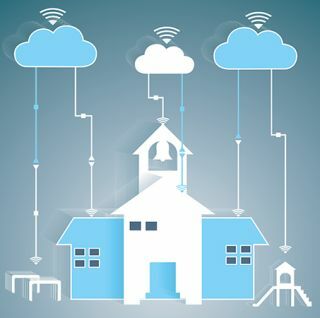 Priority 2 services, now known as Category 2, will focus on providing Wi-Fi connectivity throughout school buildings. As a district, we have not seen Priority 2 funding for many years due to our eligible rate falling under the percentage awarded, so the per-student formula is a bright spot. However, much of the controversy surrounding the modernization effort revolves around how funding will be sustained in this area. At this time, the Category 2 funding plan is based on a five-year budget and, depending on whom you speak with, only the first two years of funding is guaranteed. If you have not begun to review your existing network infrastructure or plan to implement wireless, now is the time. There are so many things to discuss concerning the modernization plan, both on a political and philosophical level. I feel there is a valid argument for the continued funding of a couple of the services being eliminated and the importance of having a long-range plan for Category 2. The conversation about phaseouts and elimination is over, but there is still time to ask questions and advocate for a more solid, long-range plan for infrastructure hardware. At any rate, if you do not work with an E-rate consultant or do not have a strong group of peers that can assist you through the filing process at this time, I would suggest reaching out to your district as you make preparations for 2015. Good luck! Jon Castelhano is director of technology for Apache Junction USD in Arizona.